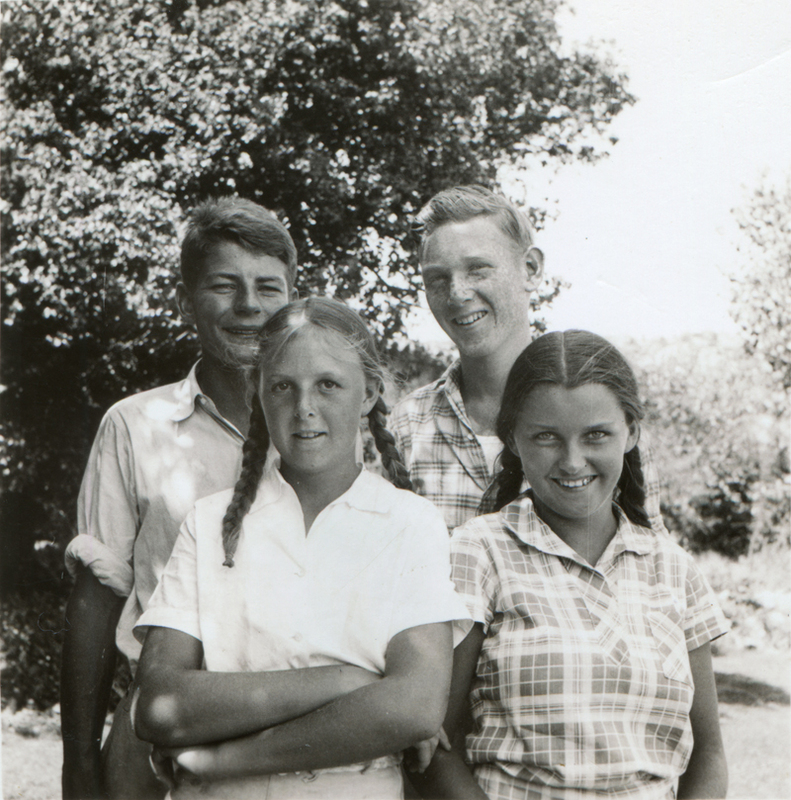 Front row: Ella "Cappy" Carey (left), Barbara Rübel; Back row: Gerald Rübel (left), Harry "Dobe" Carey Jr., probably at the Harry Carey Ranch in San Francisquito Canyon in about 1940. 2¼x2¼-inch print. The Carey kids of San Francisquito and the Rübel kids of Rancho Camulos were childhood playmates because their parents — actors Harry (Sr.) and Olive Carey, and August and Mary Rübel — were friends. Identifications by Nathalie Rübel Trefzger, 11-26-2013. NT1002: 19200 dpi jpeg from original photograph | Nathalie (Rübel) Trefzger collection.